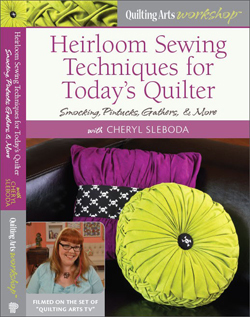 Tutorial – Vintage book note holder – Cheryl Sleboda – Textiles. Technology. Texture. Teacher. I have a “haunted” Victorian Parlor that is Halloween themed all year ’round, and wanted a way to show off some creepy photos I own. I saw this idea in an antique shop, and they wanted a lot of money for it, but I knew I could make it myself. It’s super easy, and with a book from Goodwill for $1.75, it’s a bargain! 1. Start with a vintage book whose spine is a little loose, but whose pages are NOT falling out. I liked books with pages that were a bit yellowed, as they fit my decor better. I tried to stay away from the really “stinky” books, unless you like the smell of musty paper. I also chose a book at least 600 pages in length (it’s really only 300 physical pages). This is a library book that is marked as “discarded” in 1982, that I got at Goodwill. 2. Starting at the beginning of the book, and begin folding the pages by pushing the outside edge directly into the center of the book and creasing the page. You can remove any photos if you think they will break up the look of your book holder; they are always good for collage projects later! 3. Continue until you have the entire book folded and the book becomes fan shaped. Don’t worry if some of the pages stick up higher because your folds are not completely even. I think this adds charm. The whole book took about an hour, which I did while watching TV. 4. Fold the covers together and tape or glue together. Arrange the front of the book to lay flat on your table. If your book covers stick out too far, you may want to cut them down, but I chose to leave mine on. 5. Arrange with photos, letters, leaves, whatever you wish!